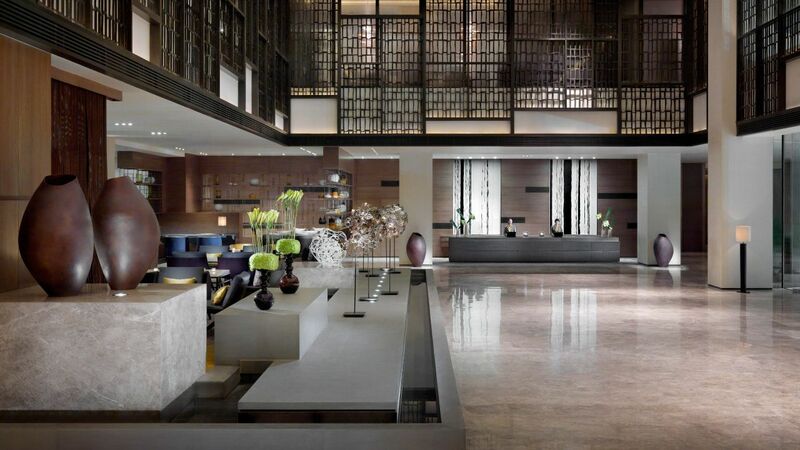 The first Hyatt hotel in mainland China, Hyatt Regency Tianjin, opened in 1986 and closed in 2009. 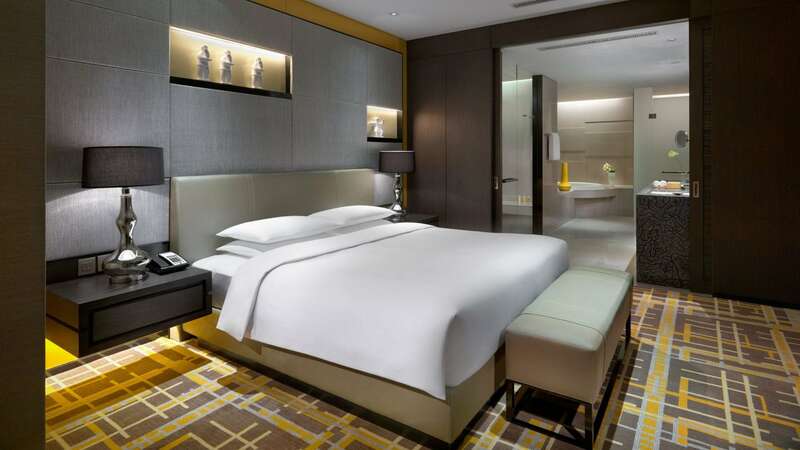 The opening of this 5 star luxury hotel Hyatt Regency Tianjin East marks the return of the Hyatt Regency brand to Tianjin on May 50, 2014. 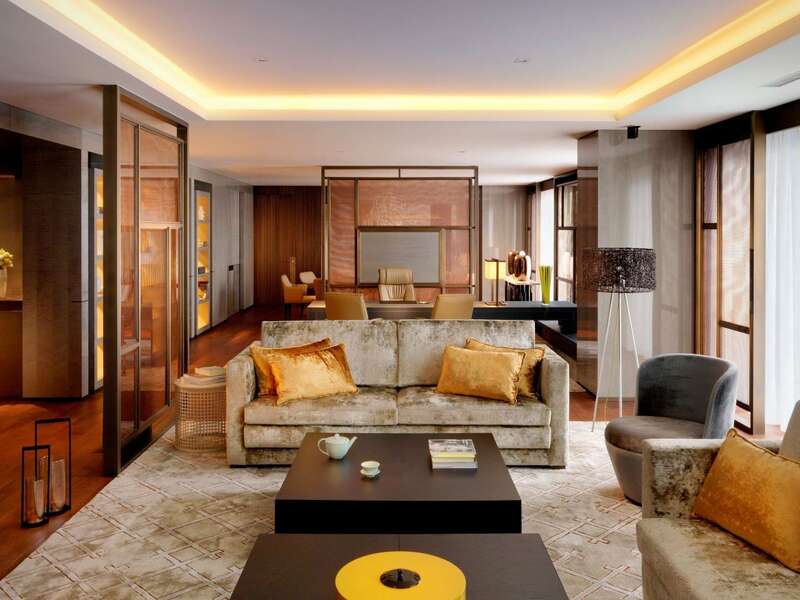 Located on Weiguo Road in the Hedong District, Hyatt Regency Tianjin East is a new landmark and part of a quickly emerging business hub connecting the east area of Tianjin and Binhai New Area. 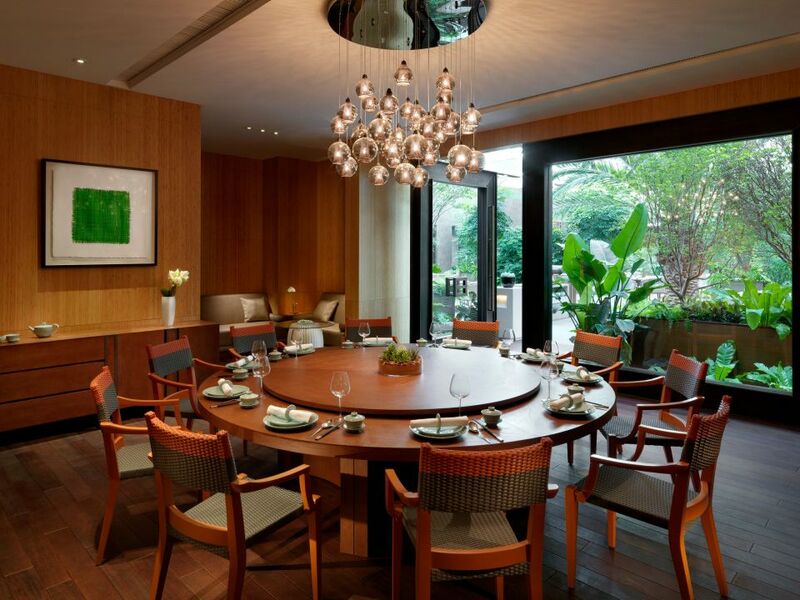 With its unique design and lively show kitchens, Wok in the Garden is a memorable venue for fine Chinese dining. 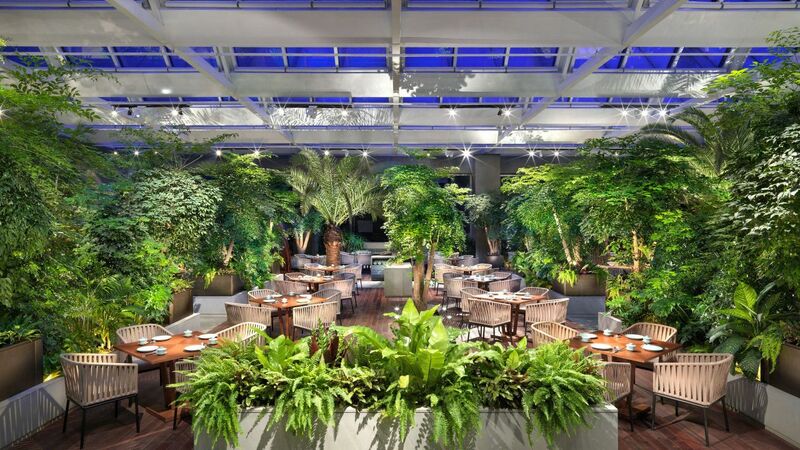 Beneath a glass ceiling, the restaurant is set in a garden conservatory with verdant trees and flowerbeds creating a lush dining ambience. Wok in the Garden specialises in authentic Cantonese and northern Chinese cuisines, including the city’s finest Peking Duck prepared in a traditional wood-fired duck oven. 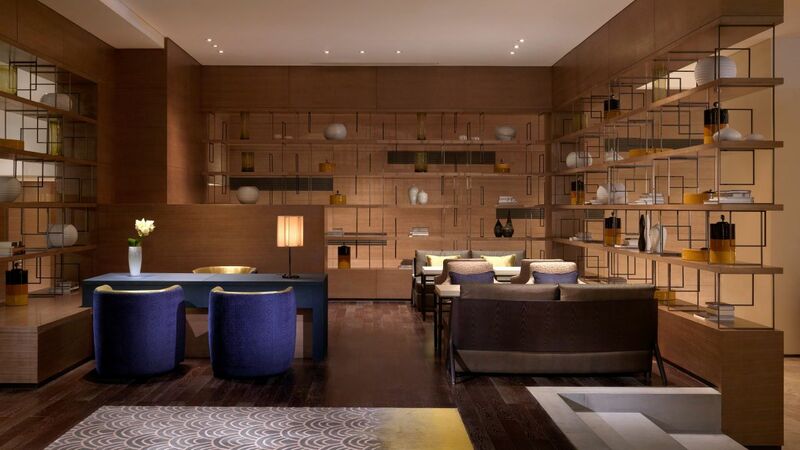 The Indoor Pool is located on the -1F of Hyatt Regency Tianjin East, adjacent to the gym and YUE Treatment. Guests staying in the hotel enjoy free access to the indoor pool and fitness facilities. 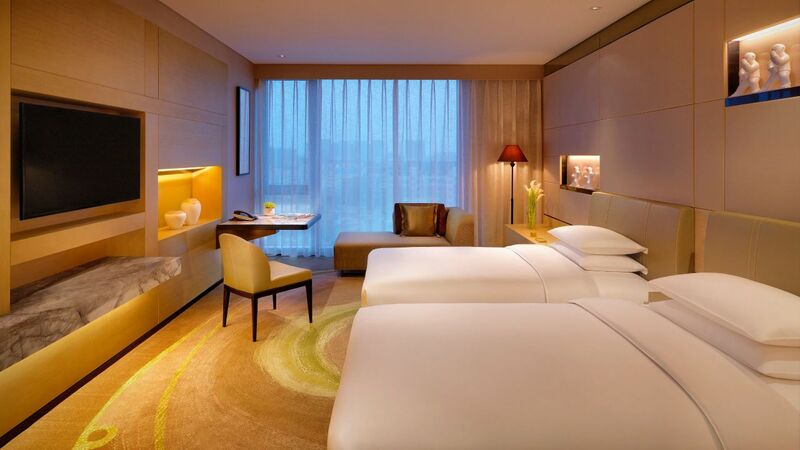 Our rooms are designed with comfort, harmony and functionality in mind. 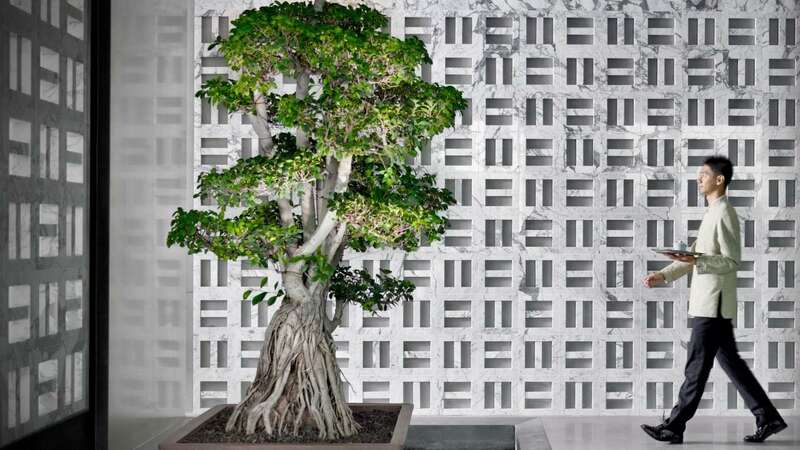 They are paired with brown and green leaves to reflect the modern sense of design combining Chinese and Western elements. In particular, they display the white pottery sculptures of the Tai Chi theme created by the famous Chinese contemporary artist Xie Ai Ge. 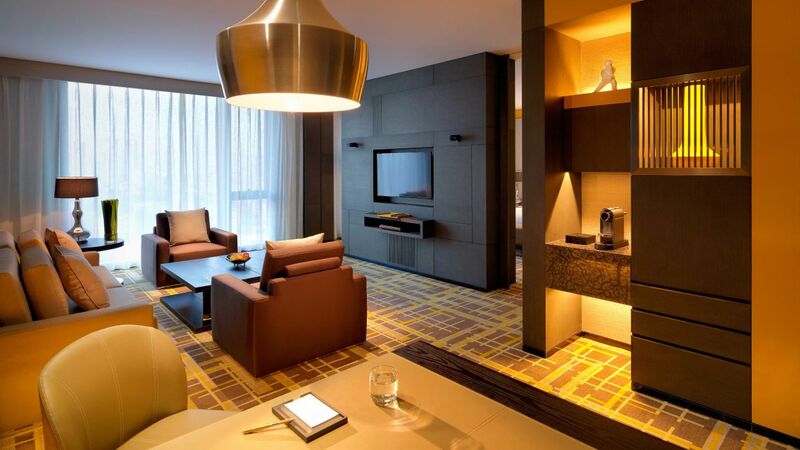 Creative sense, while adding a bit to the room a sense of agility. 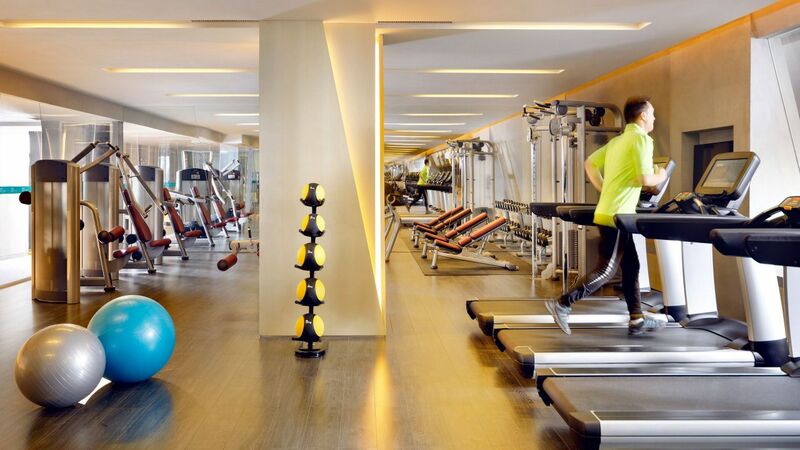 Located at the lower ground floor of Hyatt Regency Tianjin East, the fitness center is equipped with state-of-the-art fitness equipment for aerobic exercise and strength exercise. 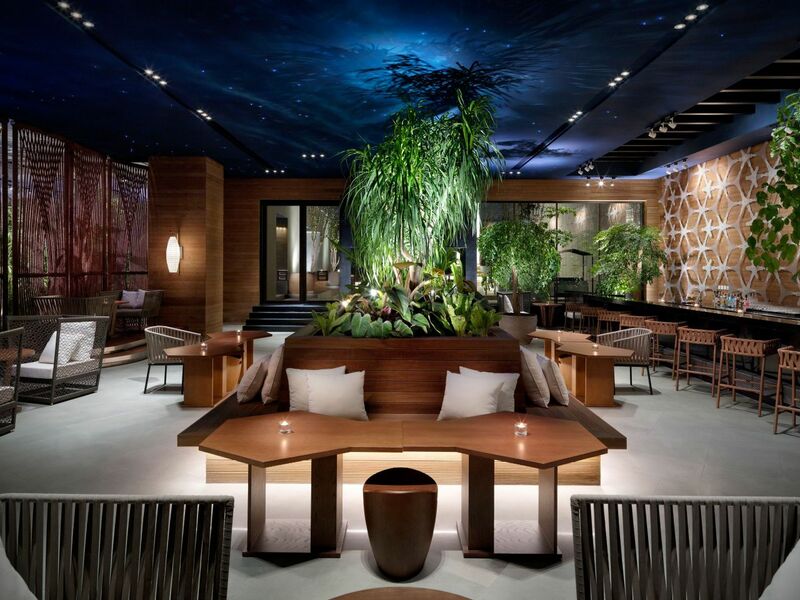 Business center is located in the hotel lobby, connecting the lobby bar. Equipped with advanced and perfect office equipment. Provide guests with fax, color printing, photocopying and courier services at home and abroad. 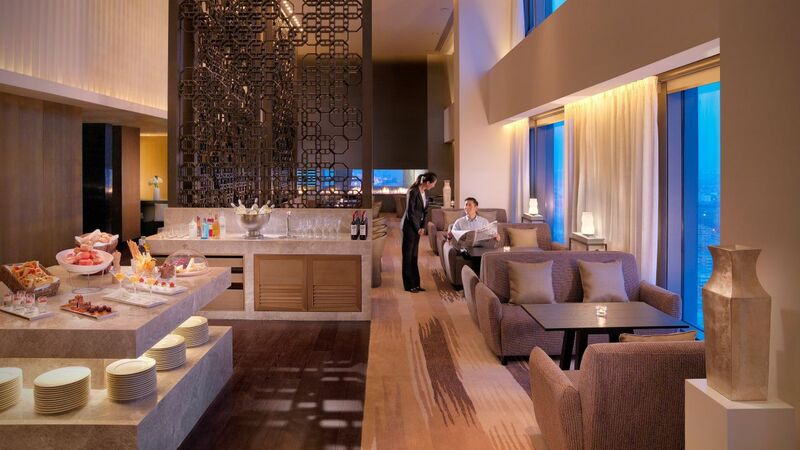 Hyatt Regency Tianjin has 3 restaurants and bars offering culinary delights and fabulous dining experiences. 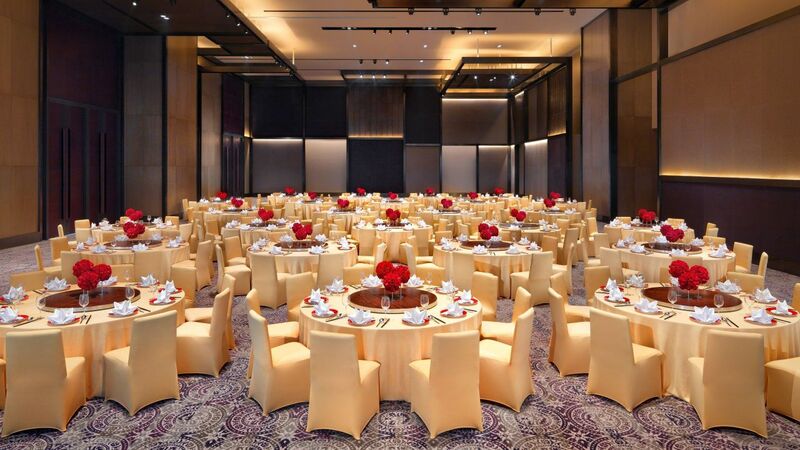 Whether it is the traditional atmosphere of the Chinese wedding, romantic and elegant Western-style ceremonies, or a private custom theme wedding, the hotel's professional wedding planning team dedicated new services, create every detail, to show you a memorable, colorful wedding. 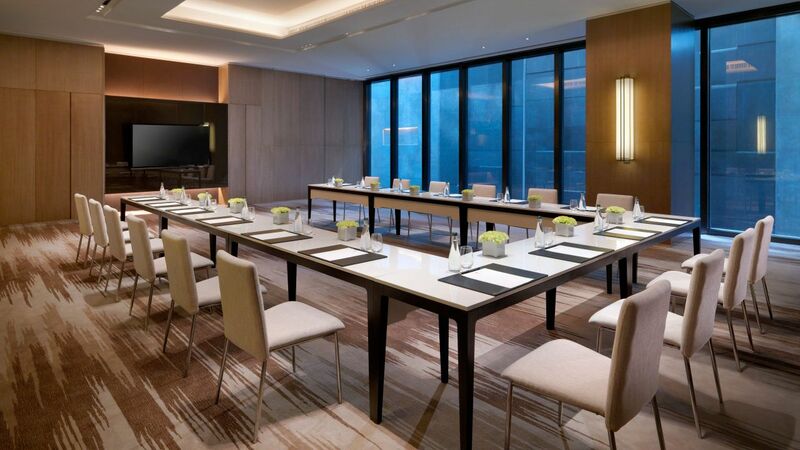 Stylish and spacious meeting and event venues to suit every type of occasion. I really enjoyed to stay at Hyatt hotel Tianjin, the people are amazing, very friendly and lovely. There are a good swimming pool, good restaurants, a lounge with a nice view. The room is very comfortable and the Hyatt has a good system for points award. 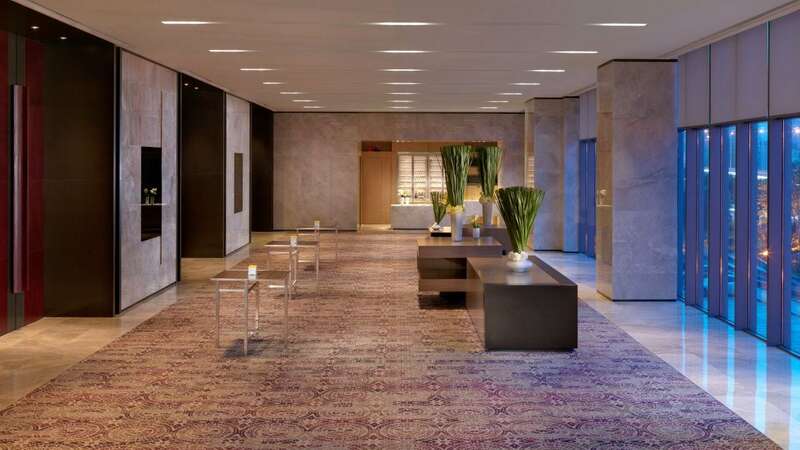 What else is happening at Hyatt Regency Tianjin East?